For some reason we were talking birthdays in class – maybe because there are a number of birthdays happening in the next few weeks. One of my students (whom I have known for a number of years), asked me when my birthday was. He was very upset that he had missed it as he had planned on giving me a gift. 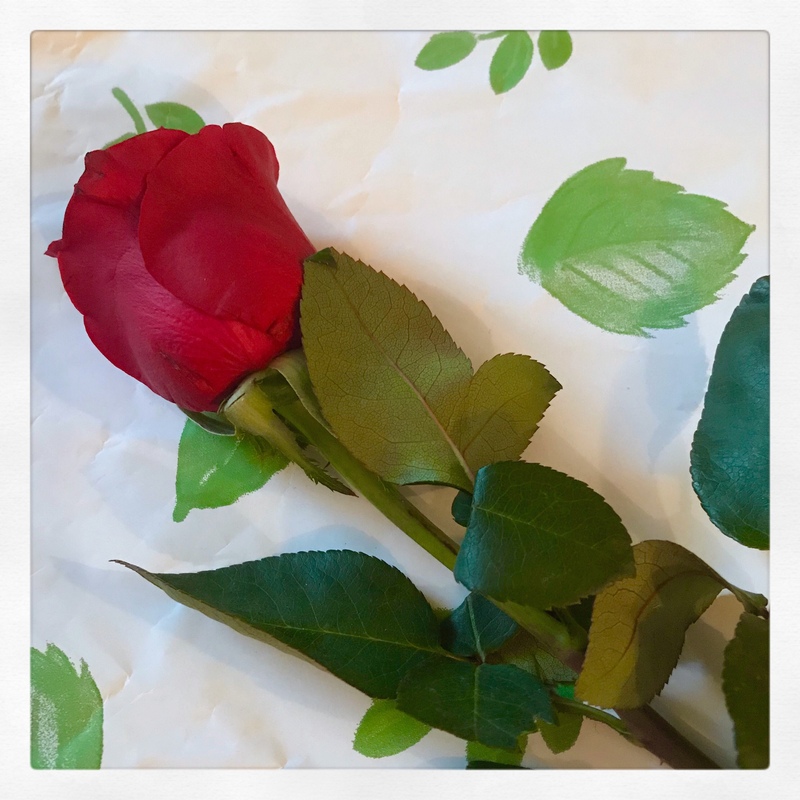 He must have expressed his disappointment at home because, a few days later, he gave me the gift of a rose for my birthday. I could not help but smile when I received his gift. He was grinning from ear to ear and was so happy to see that I was pleased with the rose. And me? The gesture had certainly made my day – and is still making me smile when I look at the rose placed on my side table. What is the sweetest gift you have received? What a lovely gift, and how great that your student was so pleased by your reaction. Thanks for sharing. He is a sweet child and generous too. I like as well that his parent encouraged him to follow through on what he wanted to do. I would hope so. I have known him for a few years now and always hope to help fill the void left in the life of a child without a mom. It is important I feel. Especially as I am personally in a position to affect young children’s lives. Adults don’t always realise the power they have on young minds and emotions. Those little gifts are always a treasure, aren’t they? I think it is a way of our children showing us how much they care for us. A small cuddly Snoopy. 🙂 🙂 He’s watching me from across the room right now. It is drying out in the vase and I will keep it for as long as I can. I did not think of pressing it. Not surprising – especially during the grey days of winter.